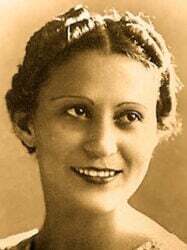 Julia de Burgos, born Julia Constanza Burgos Garcia (February 17, 1914 – July 6, 1953), was a Puerto Rican poet and civil rights activist for women and African/Afro-Caribbean writers. 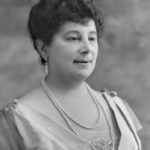 She was also an advocate for Puerto Rican independence and served as Secretary General of the Daughters of Freedom, the women’s branch of the Puerto Rican Nationalist Party. Burgos was born and raised in Santa Cruz, a poor area of Carolina, Puerto Rico where her father owned a farm in addition to working as a member of the Puerto Rican National Guard. She was the oldest of her thirteen siblings until unfortunately, six of her younger siblings died of malnutrition. As the oldest in an underprivileged home, she was the only one that was given the opportunity to attend school. Burgos graduated from Munoz Rivera Primary in 1928 and was awarded a scholarship to attend University High School, so her family moved to Rio Piedras. This would influence her later on to write her first work, Rio Grande de Loiza. She was a very intelligent student and learned to love literature at a young age. 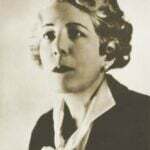 The writings of Luis Llorens Torres, Clara Lair, Rafael Alberti, and Pablo Neruda were among some of the people who influenced her career as a young poet. Three years later, she was enrolled in the University of Puerto Rico, Rio Piedras Campus to become a teacher. 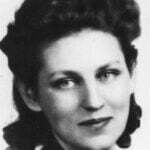 In 1933 at the age of nineteen, she earned her teaching degree from the University of Puerto Rico and taught at Feijoo Elementary School in Barrio Cedro Arriba of Naranjito, Puerto Rico. Her teaching career was cut short after Burgos met her first husband, Ruben Rodriguez Beauchamp, in 1934. She started doing civil rights work in 1936 and became a member of the Puerto Rican Nationalist Party (Partido Nacionalista de Puerto Rico) and was later elected as the Secretary-General of the Daughters of Freedom, women’s branch of the Nationalist Party. The start to her new career was followed by the end of her marriage to Rodriguez. Burgos and Beauchamp divorced just three years later in 1937. After her divorce, Burgos started an intense romantic relationship with Dominican historian, physician, and political Juan Isidro Jiménez Grullón. Little did she know he would become a big inspiration for her poems later on in her career that discusses her love for him. They traveled to Cuba together in 1939 where Burgos briefly attended school at the University of Havana. 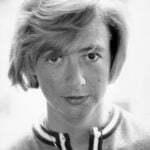 She then traveled to New York City where she worked as a journalist for Pueblos Hispanos, a progressive newspaper. Her relationship with Grullón started to take a negative turn shortly after they arrived in Cuba. Burgos tried to save the relationship but failed to do so. She decided to leave and return to New York by herself where she worked menial jobs in order to support herself. While starting a life of her own in New York City, Burgos met Vieques musician, Armando Marín. They got married in 1943 but this marriage also ended in divorce. As a result, Burgos fell further into depression and alcoholism. Burgos had already become a published writer in journals and newspapers by the early 1930s. 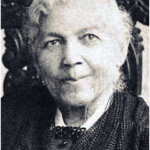 She also published three books that contained a collection of her poems. To promote her first two books, she traveled all over Puerto Rico giving book readings. Her third book was published in 1954 and contained a collection of the intimate, land, and social struggles of those oppressed on the island. 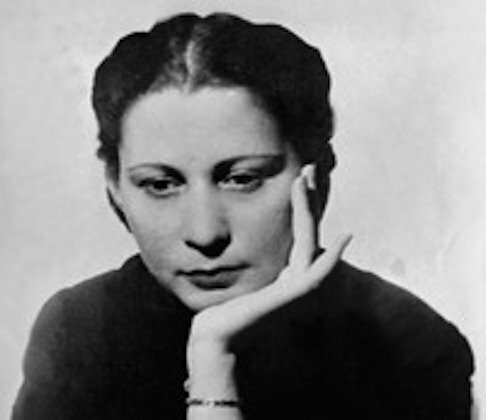 In July 1940, Burgos was awarded a Puerto Rican literary prize for her second collection of poems, Canción de la Verdad Sencilla (Song of the Simple Truth). 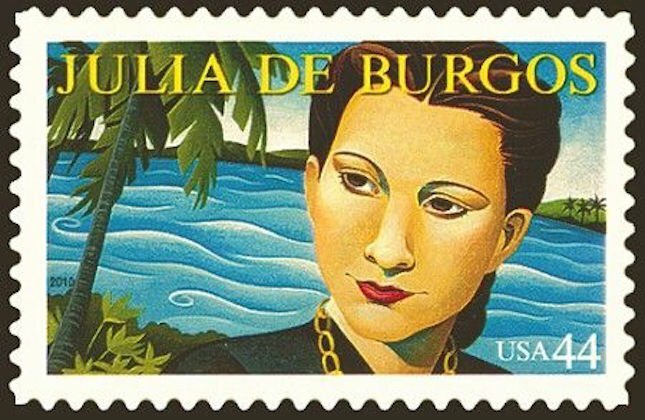 In 1986, Julia de Burgos was awarded by the Spanish Department of the University of Puerto Rico and was granted a doctorate in Human Arts and Letters. In 2002, a documentary about the life of Julia de Burgos was created titled “Julia, Toda en mi…” directed and produced by Ivonne Belén. In 1978 another biopic of her life titled “Vida y poesía de Julia de Burgos,” was filmed and released in Puerto Rico. 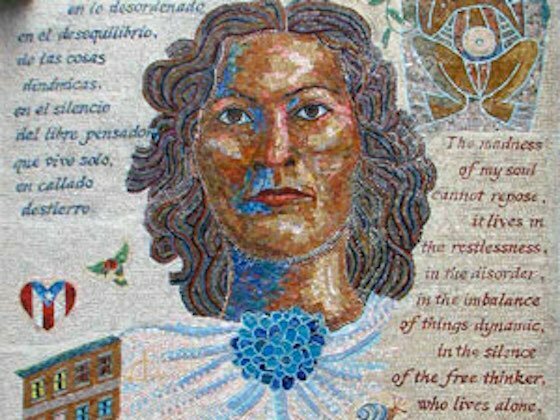 In 2006, a mosaic mural titled “Remembering Julia,” by artist Manny Vega was inaugurated. It is located between 106th Street between Lexington and Third Avenue in East Harlem. On September 14, 2010, the United States Postal Service held a ceremony in San Juan in honor of Burgos’s life and literary work. They issued a first-class postage stamp which was the 26th release in the postal system’s Literary Arts series. Toronto-based artist Jody Hewgill created the stamp’s beautiful portrait. 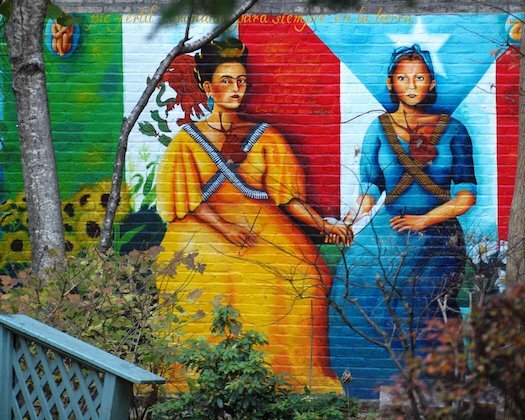 In 2011, Yasmin Hernandez created a mural called “Soldaderas” (Women Soldiers) that was inaugurated at the community garden Modesto Flores Garden on Lexington Avenue between 104th and 105th street. Interestingly, just one block away inside the old building of P.S. 72 is the Julia Burgos Latino Cultural Center. This is of great importance to the Latinx community as it is one of the mainstays of cultural life in El Barrio. 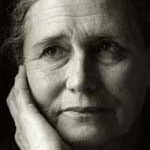 This year, she was also inducted into the New York Writers Hall of Fame. 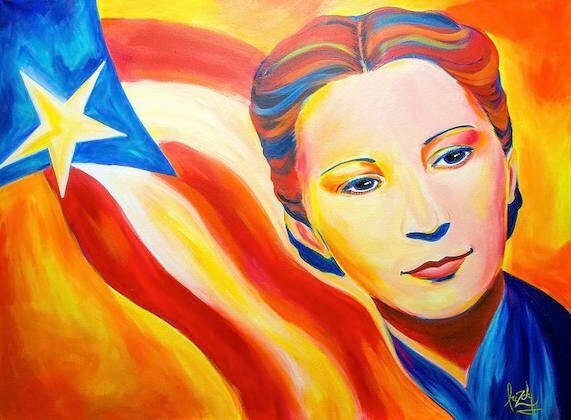 On May 29, 2014, twelve notable women were honored with plaques in the “La Plaza en Honor a la Mujer Puertorriqueña” (Plaza in Honor of Puerto Rican Women) in San Juan. Burgos was among the twelve who were honored who, according to their plaques, stand out by virtue of their merits and legacies. On June 28, 1953, Julia de Burgos left a relative’s home in Brooklyn where she had been living. She was nowhere to be found until July 6, 1953 when she had collapsed on a sidewalk in the Spanish Harlem section of Manhattan. After being taken to a hospital in Harlem, she died of pneumonia at the young age of thirty-nine. Burgos was not wearing any ID when she passed away and was buried as “Jane Doe” at the public cemetery on Hart Island. Her friends began to look for her after noticing that she had been missing. Her disappearance was even recognized by El Diario/La Prensa as they published a notice an an effort to find her. After various days of extreme searching, her body was unearthed and sent to Carolina, her hometown, for a proper burial.